Below you can learn more about some of the amenities offered by L'Esplanade. If something you need is not listed below, don't hesitate to stop by the front desk or contact us with any requests. We offer complimentary wireless internet access throughout all of our guest rooms, as well as in the reception. If you did not bring a laptop, we have a guest computer located in the reception which is available from 8:00am until 8:30pm. We are happy to wash, dry and fold your laundry. The cost for a full load is $20.00. We are also able to send out any dry cleaning you may have - this usually takes two to three days. 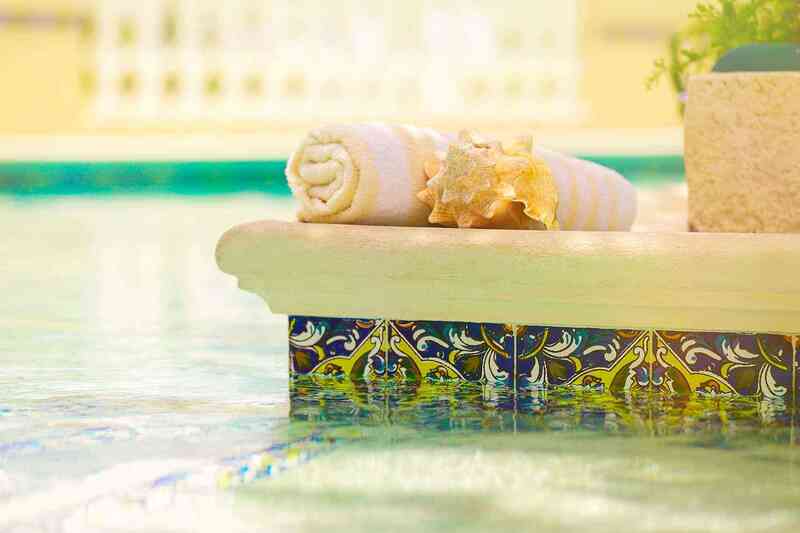 We want to create a relaxed atmosphere and therefore do not want you to have to sign our beach towels out. Please be responsible with them - do not take more than you need and please return them to us after your day at the beach or pool. Your cooperation is appreciated. For your enjoyment we have a wide selection of books downstairs by the office - please help yourself. We also have the Daily Herald and the Miami Herald delivered to the hotel daily, excluding Sundays. The newspapers are located in the reception on a first come, first served basis. To be ordered the previous night, before 8pm. 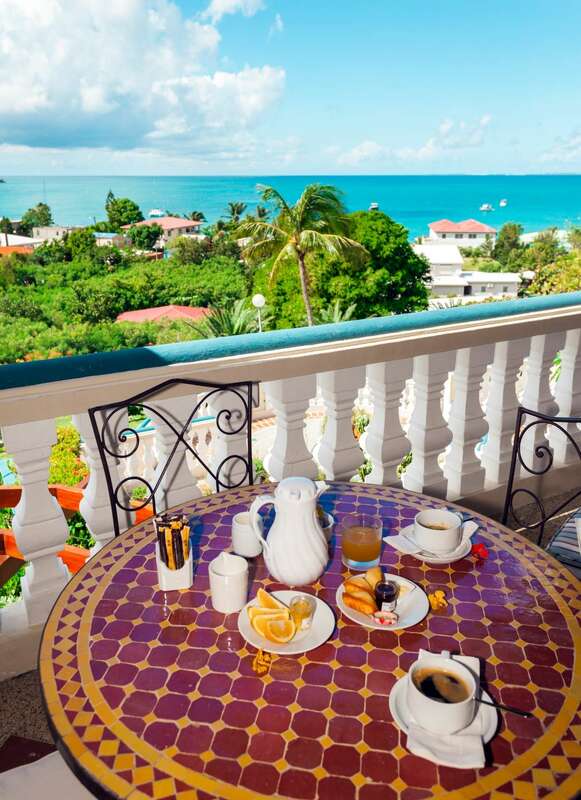 We offer a continental breakfast served in your room starting at 8am until... Should you wish to have breakfast, please notify the front desk before 8pm the previous night so that we may order it fresh from the bakery. 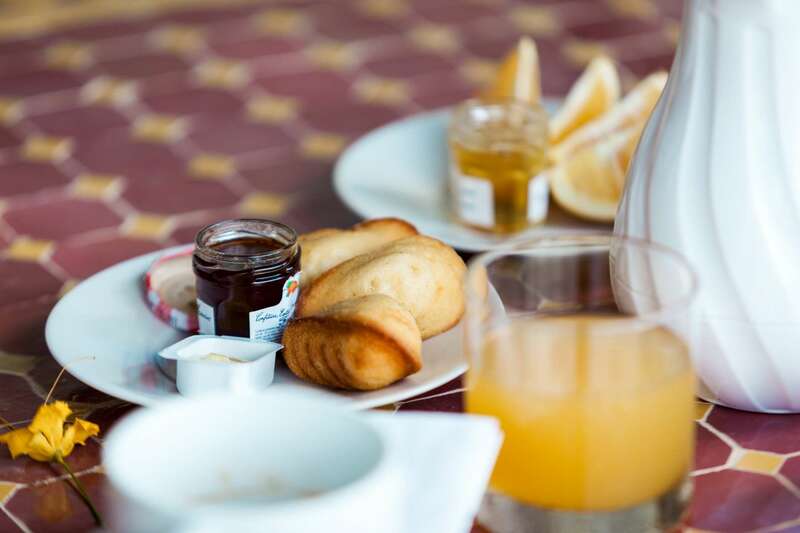 Breakfast consists of: regular or decaf coffee, tea or hot chocolate, your choice of 2: croissant, pain au chocolat, pain au raisin, apple turnover or baguette, freshly squeezed orange, freshly squeezed grapefruit, apple or pineapple juice, butter and jam. $15 per person, or see our a la carte menu. 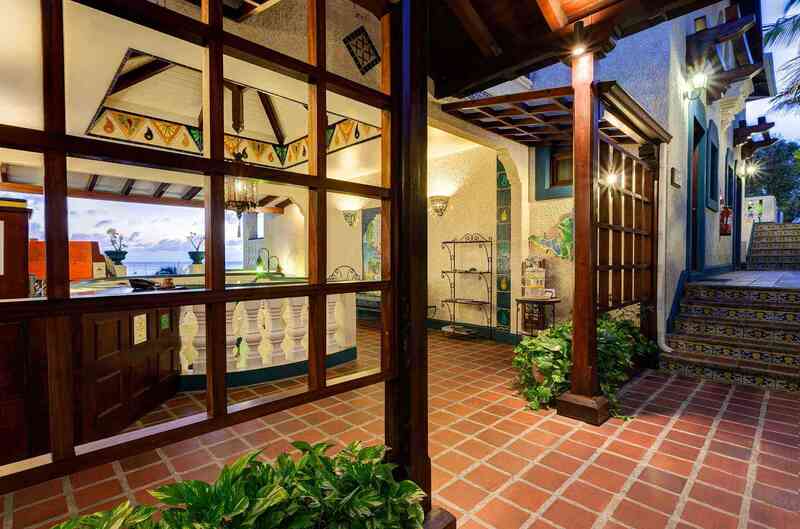 Looking for unique gifts, St. Martin style, or vacation must-haves you forgot? 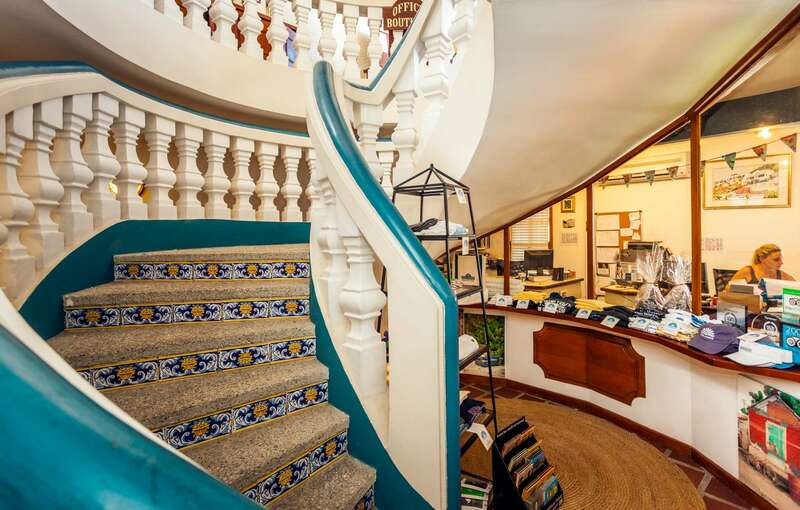 Hotel L'Esplanade's boutique offers a fine selection of mementos and gifts like local art prints, CDs, stamps and postcards, as well as some practical essentials like sunscreen. The boutique also exclusively features the L'Esplanade apparel collection, including premium cotton t-shirts, tank tops, boat-necks, caps, and luxury-weight robes. Just take the big spiral stairs down from the reception desk, and you’ll find the boutique by the office.